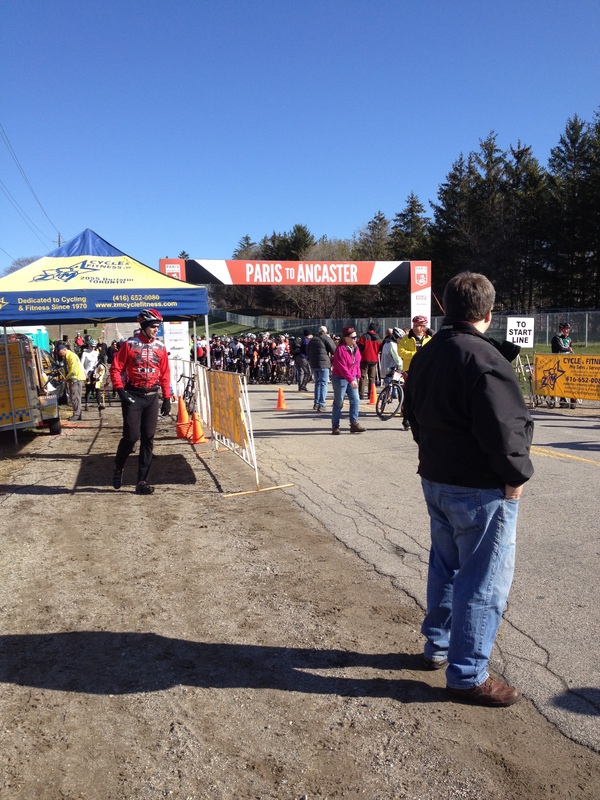 The Multisport Canada season opened up on Sunday with the traditional season opener in Woodstock. 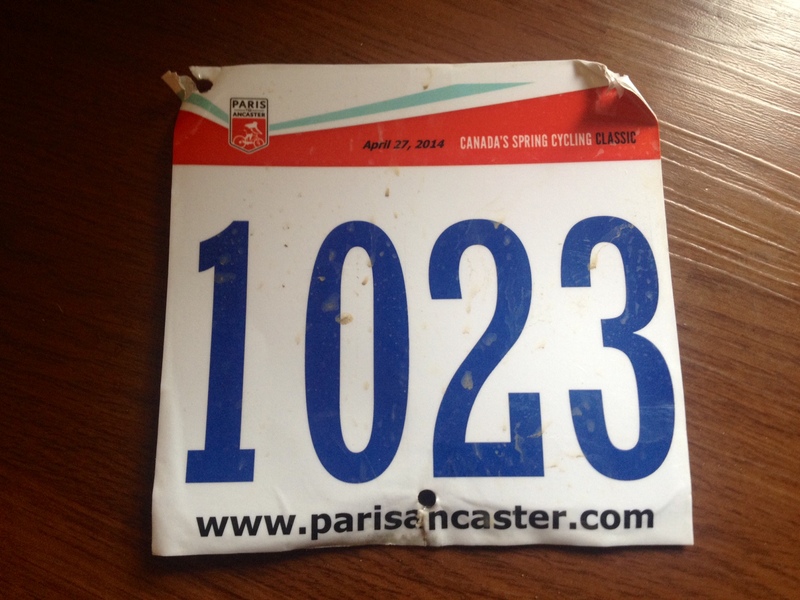 I came to this race for the first time last year, and despite a terrible race I thoroughly enjoyed the course. I was eager to come back in 2014 to make up for my 2013 race, and after a strong performance I look forward to making every effort to get this one on my schedule for years to come. 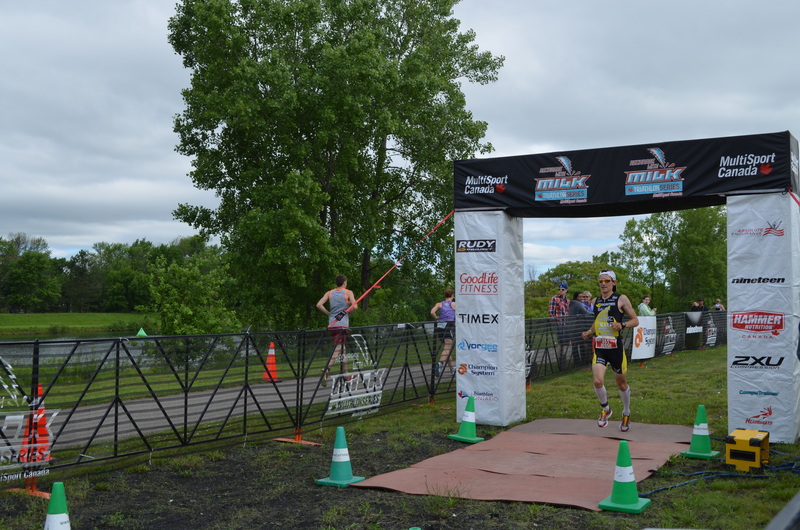 Awesome venue, deceptively difficult course, and now the memory of adding my first overall win of 2014 at the course will keep me coming back! As usual, Emma and her family rearranged their weekend to make sure I could get to the race as hassle-free as possible. 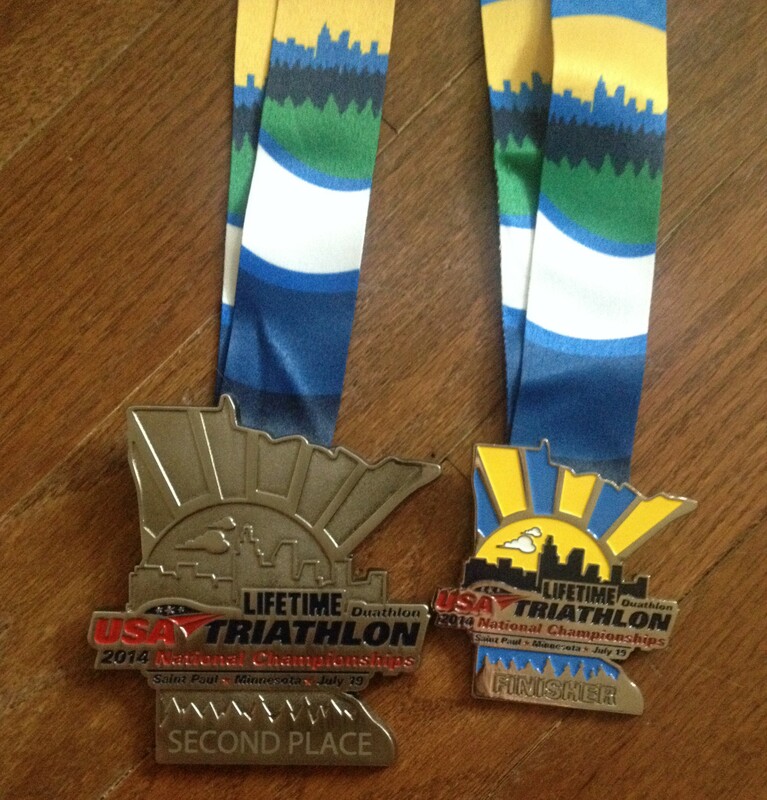 I promised everyone who sponsored me with transportation a poem on this blog at the beginning of the year when we started planning my race schedule…well, I definitely owe Jayne and Roger a whole song at the end of this season! Thankfully, upon arrival there were no last minute mechanical panics, allowing me to focus completely on the task at hand. None of my usual competition were able to work Woodstock into their race plans, but there are always a few wild cards on the first race of the year. Time to get after it! 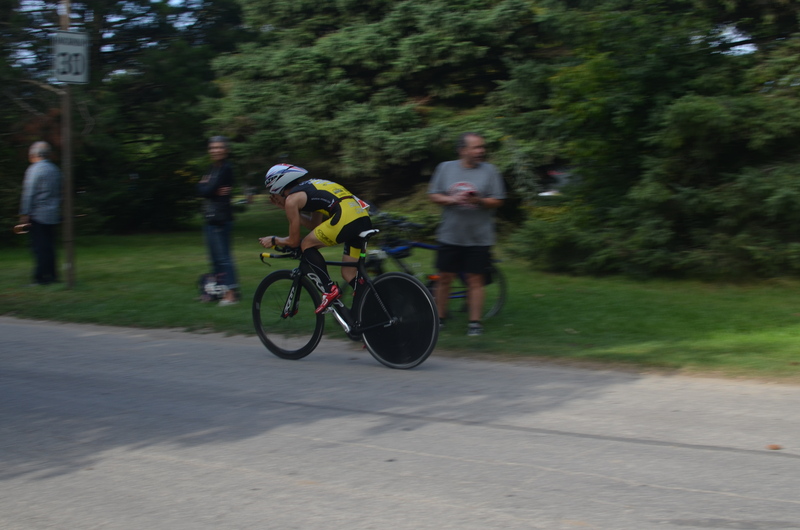 The first run was fueled partially by adrenaline, as I knew there was a reigning Provincial ITT champion in the field (Grahame Rivers). 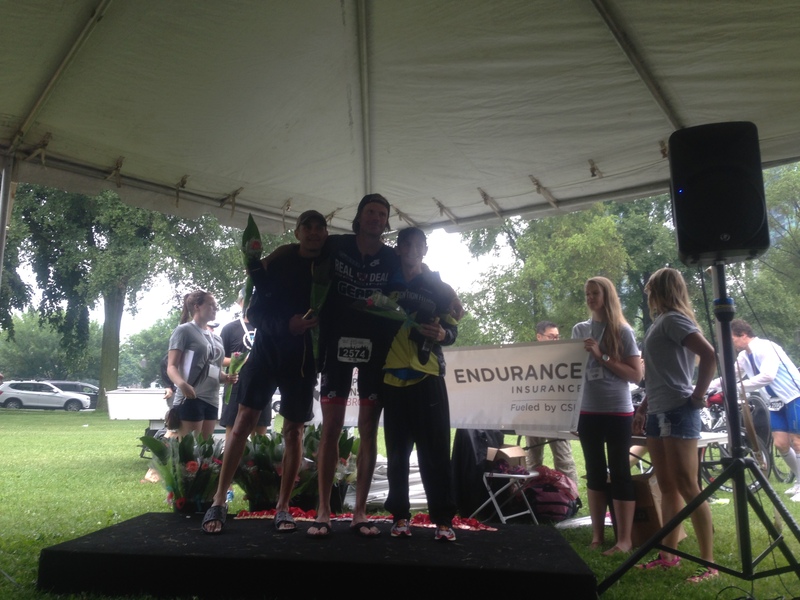 His presence provided fuel for me, because I was not totally sure what he could do on the run and my experience with Erik Box taught me not to write off the uber-biker! 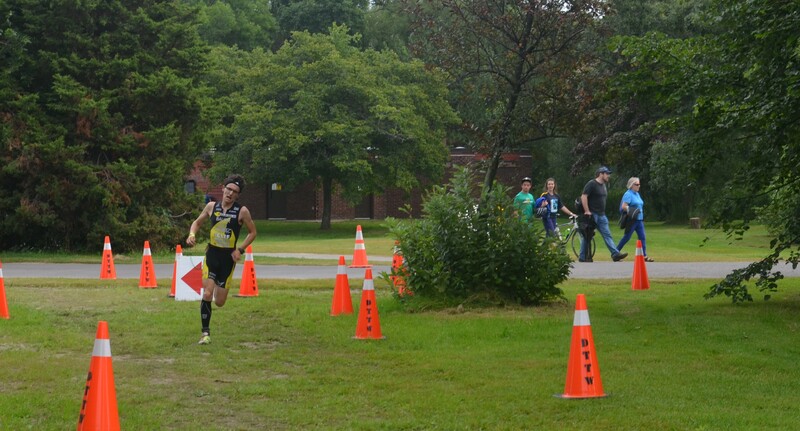 I took off on my own basically from the gun, and grabbed a lead that I would hold onto more or less for the remainder of the race. 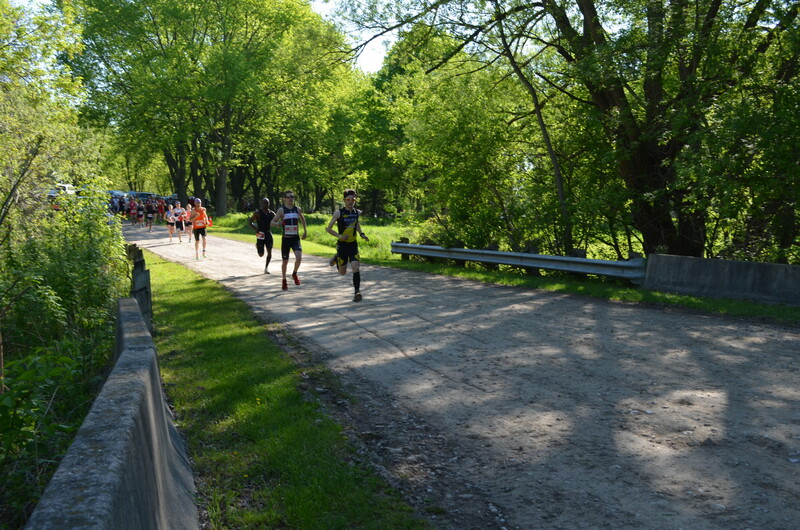 Thankfully, after pressing on my own for the first mile, I was joined at the front by someone who later turned out to be Bruce Raymer, course record holder at the Mississauga Marathon 5k until Jamie Switzer and I broke it in 2012! 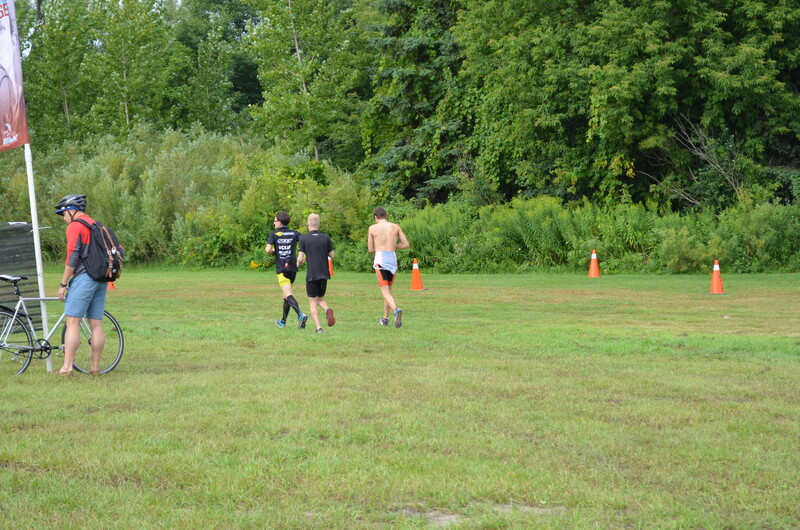 We worked together on the way back to transition, swapping the lead, and rolled in with a healthy minute on the rest of the field. The bike today was all about continuing the trend of the run of staying away as long as I could. The course at Woodstock does not favour me, as I tend to do better (relatively) on very hilly, very flat, or very technical courses. Woodstock is none of those, and is rolling to boot. I did know that if I pushed the first half that I would be able to back off a tad while maintaining speed on the way back, as it is slightly net downhill. I thought I executed quite well, even though my wattage was significantly lower than in Harrow. I will chalk that up to having actually calibrated my Garmin for this one! 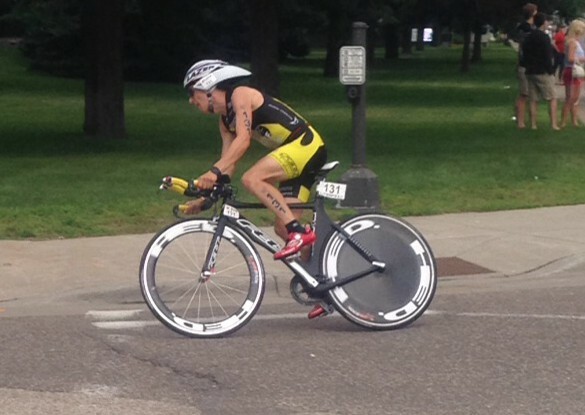 I kept the foot on the gas the whole way and didn’t see another duathlete until the turnaround. 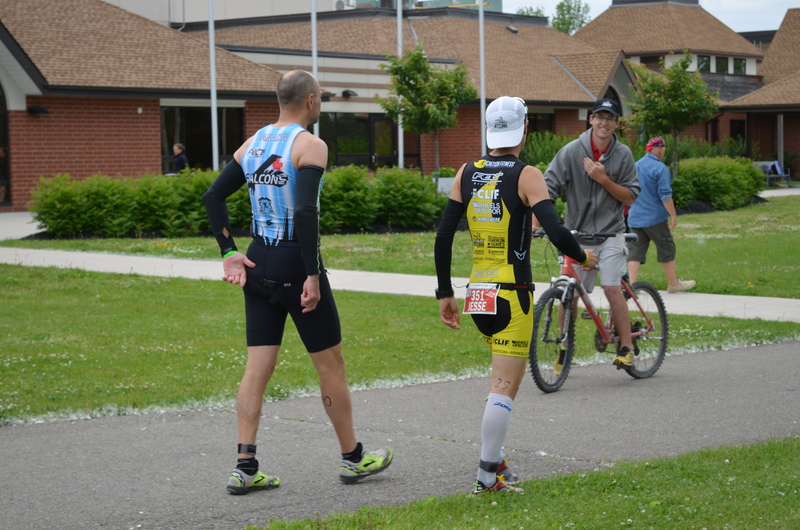 I kept pressing to transition and actually made it into transition with my lead intact. 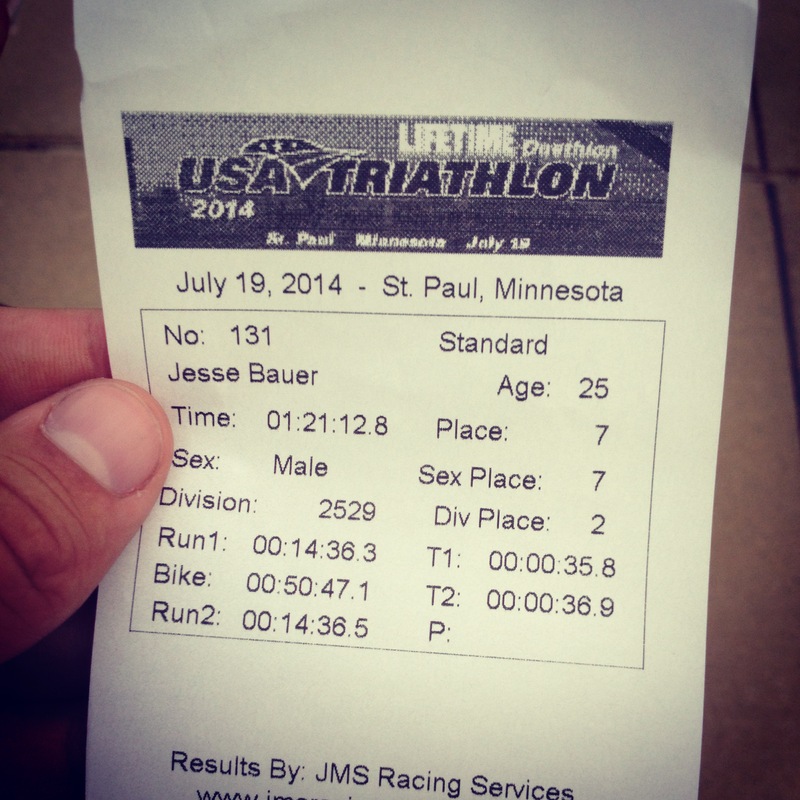 First off the bike for only the second time in my duathlon career, and a 1 minute improvement on my Harrow bike split! 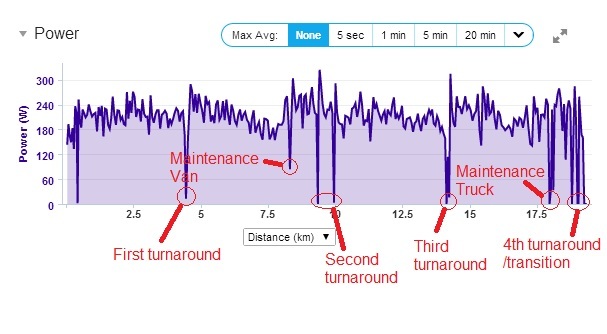 You can check out the data from my ride here for those interested in this sort of thing, just be warned the averages are affected by more than a few annoying Garmin dropouts in the first few kilometres of the bike. 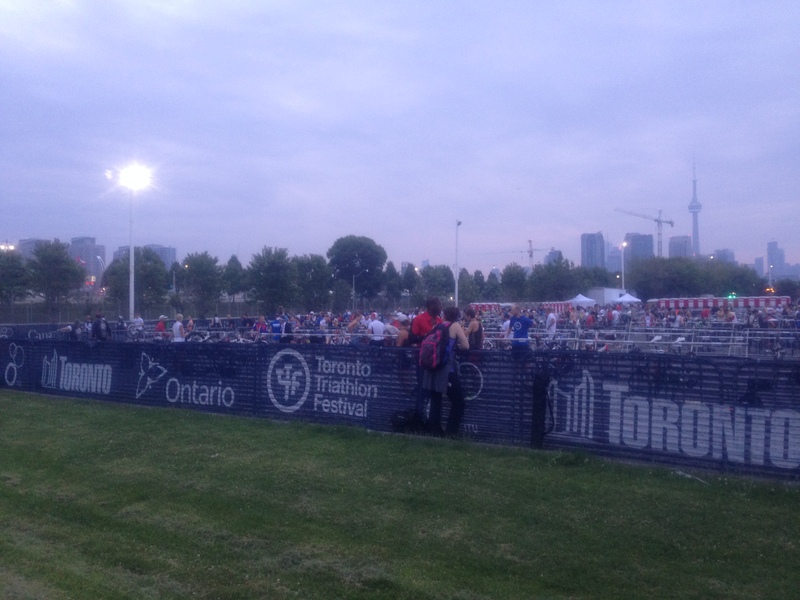 After another quick transition (0:36, 2nd fastest by a mere second! ), I’ll admit I took the foot off the gas a bit. Though the results look pretty, I was at 90% at best today. I was fighting my body for a lot of the first two legs, and though I wanted that elusive sub-1:00 overall finish time, I have higher priority races up ahead, along with a big training block. 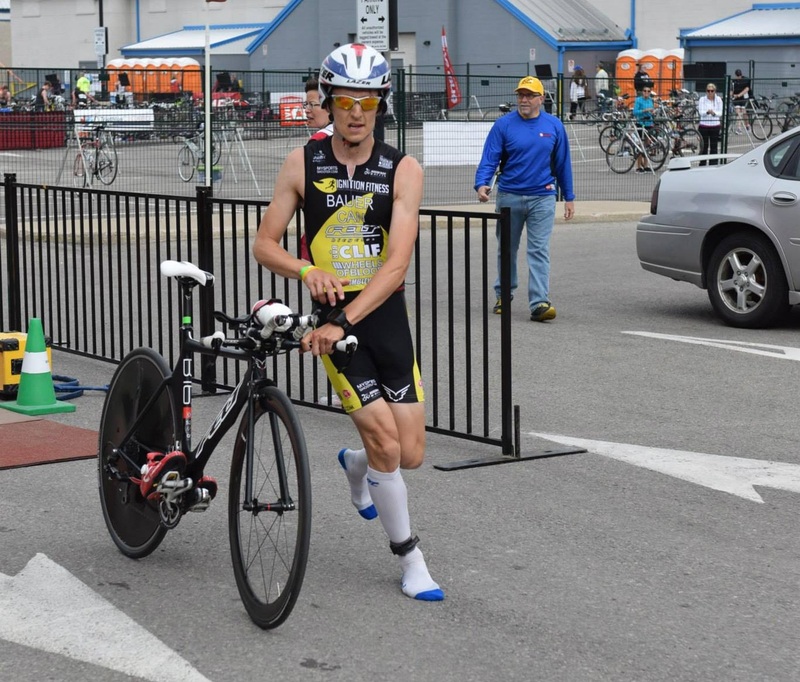 I knew having the lead out of T2 had put me firmly in the driver’s seat, and I felt confident knowing that if I was caught, that I would be able to fight back and have the finishing kick to take the race. I settled into a brisk but comfortable pace and wound my way out to the dam, where I saw I had a pretty comfortable lead in the du. 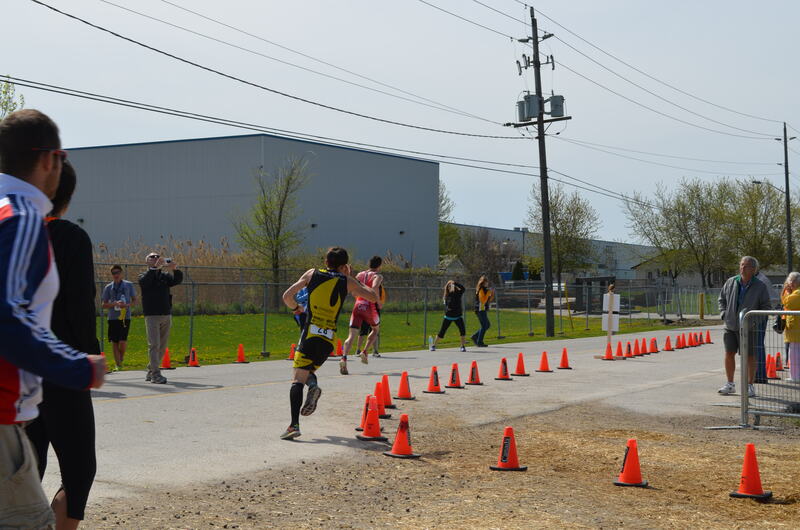 I cruised right on in to the finish (as the first person across the finish line in any race) with a new sprint duathlon PB and my first win of 2014. Satisfying! 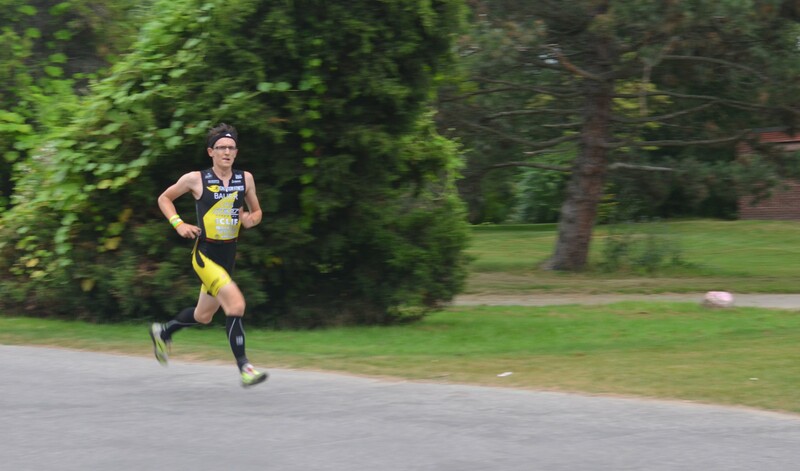 And there is always the Island in August that chase after that sub-1:00. I feel comfortable knowing that I executed relatively well today while identifying some areas that still need work. 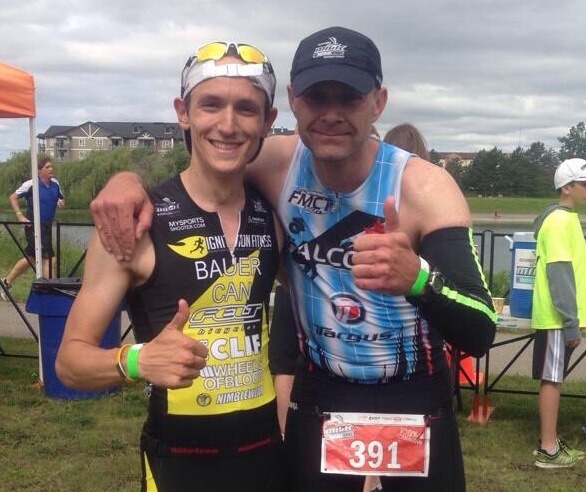 Big shout-out to Bruce Raymer for the push all day long, and for a great finish in his first duathlon. Looking forward to having this guy to push us all year! 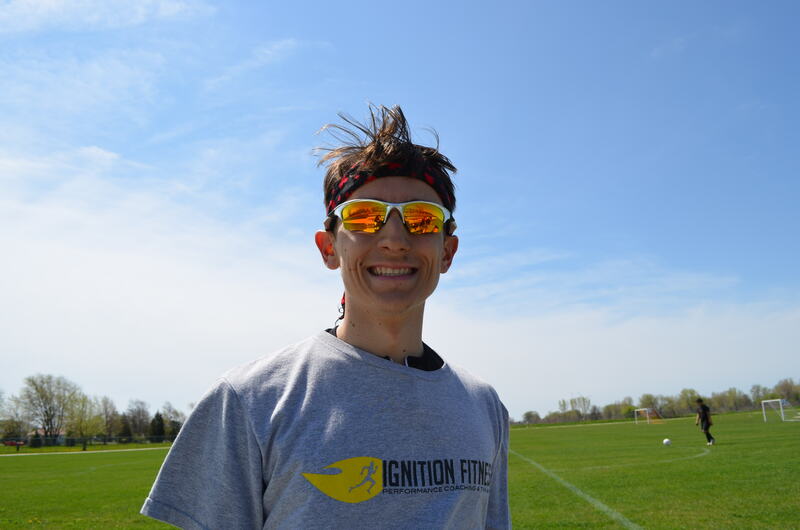 Another big shout out goes out to fellow Ignition Fitness ambassador Darren Cooney, for his awesome improvement this season. 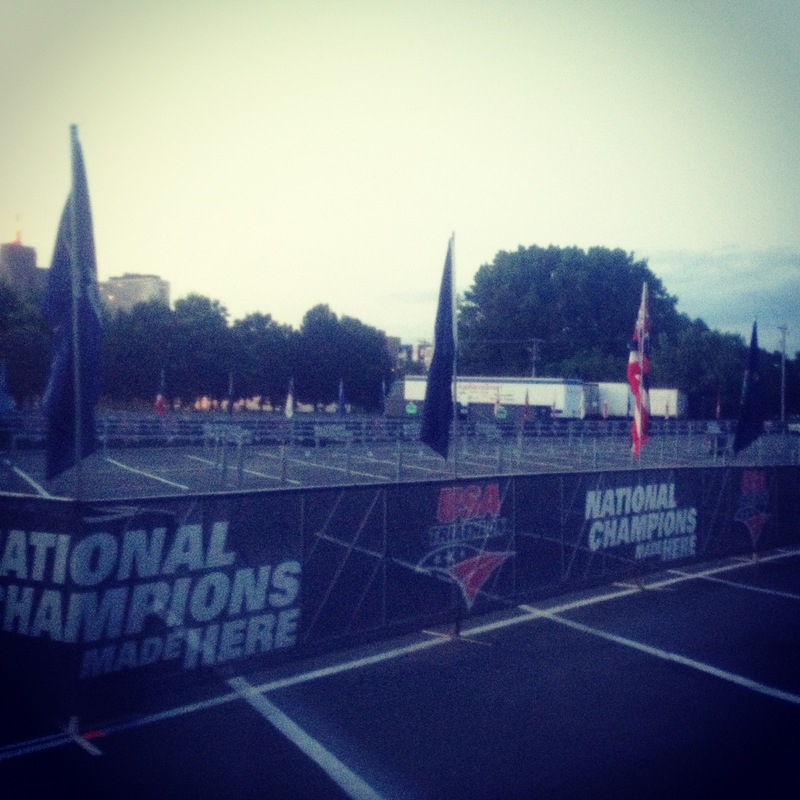 2 solid PB’s out on the roads, and then a 9th place overall finish here today. Living proof that hard work pays off. 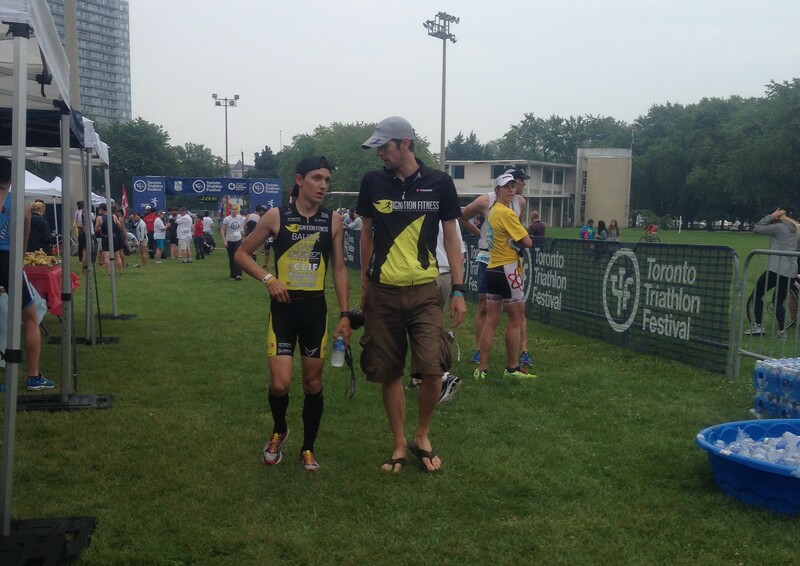 One happy camper chatting with fellow Ignition Fitness athlete, Darren Cooney, after the race. 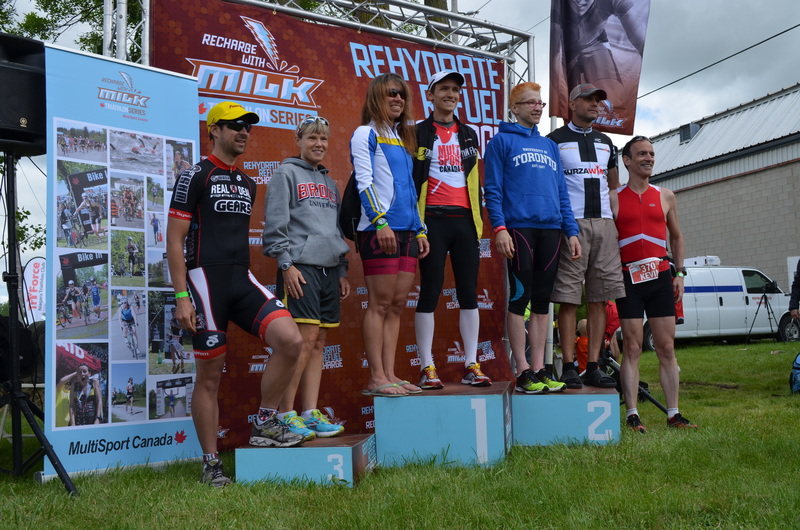 Thanks go out to Multisport Canada and the Recharge With Milk Triathlon Series for putting on such a great event and allowing me to represent your brand. 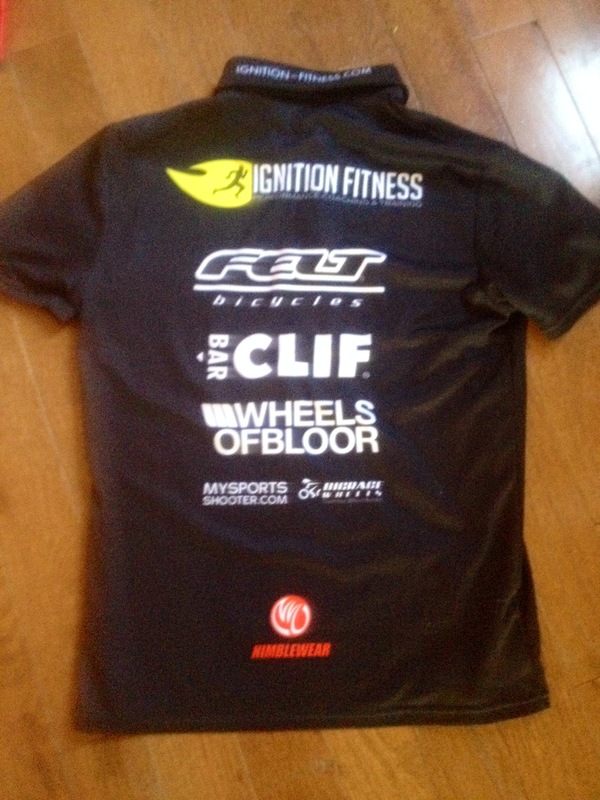 Thanks also to Coach T, Roger and Ignition Fitness for giving me the tools to pull off such a result (including my rocket fast Felt Bicycles B16). Congrats also go out to my fellow MSC ambassadors, especially Lionel Sanders for being such an animal. Hard to imagine that just 4 years ago, the two of us occupied two tiny rooms separated by one thin floor of a university house in Windsor. And as always, thank you to the amazing Emma Parker, for once again dragging me out of bed and into the car, then chasing me all around the race site to get the great pictures I post in this blog. Couldn’t do it without my team! 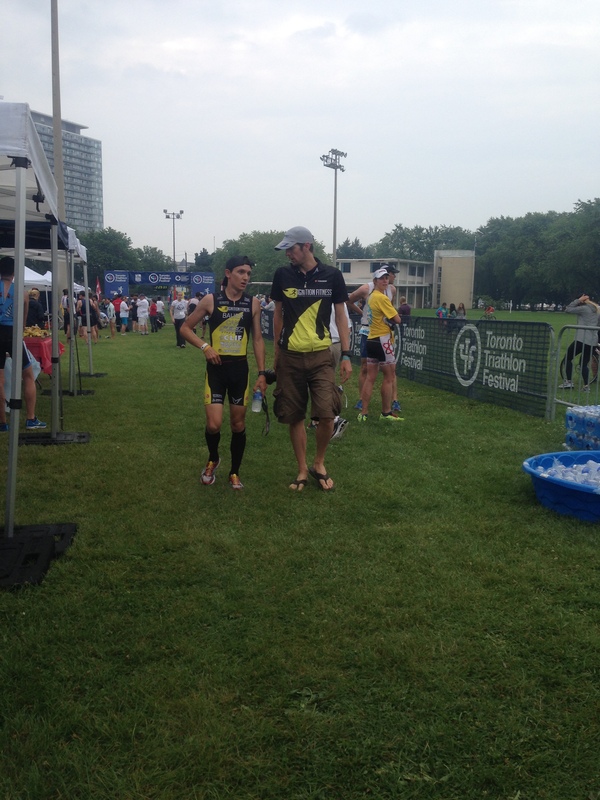 UPDATE 5/26 5:43pm – Check out my post-race interview courtesy of Multisport Canada. 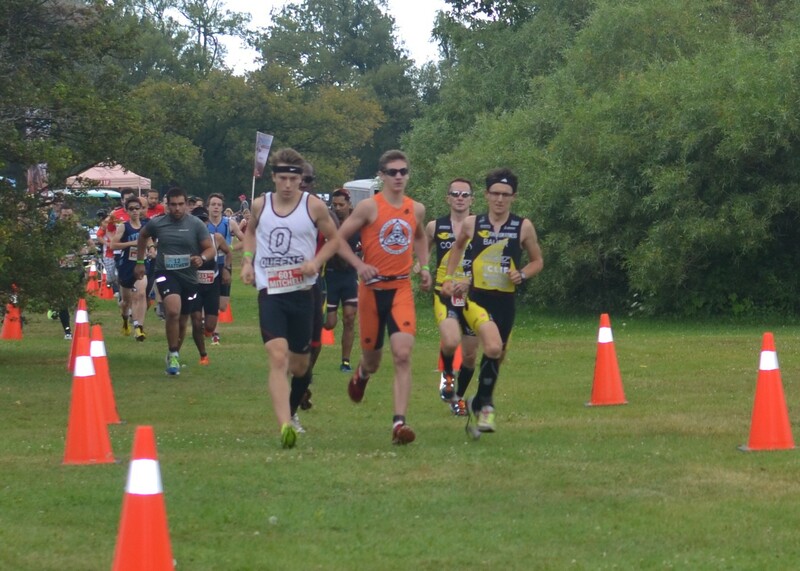 Last Saturday I participated in the Iron Hawk Duathlon, which doubled as the Ontario Sprint Duathlon Championships and made for a fantastic season opener for duathletes in Ontario. 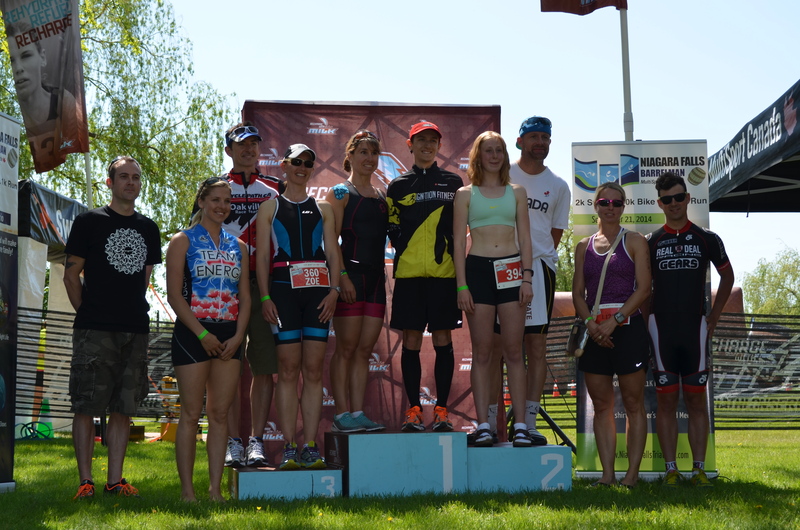 You can check out the race recap I wrote about the race for Duathlon Central here. 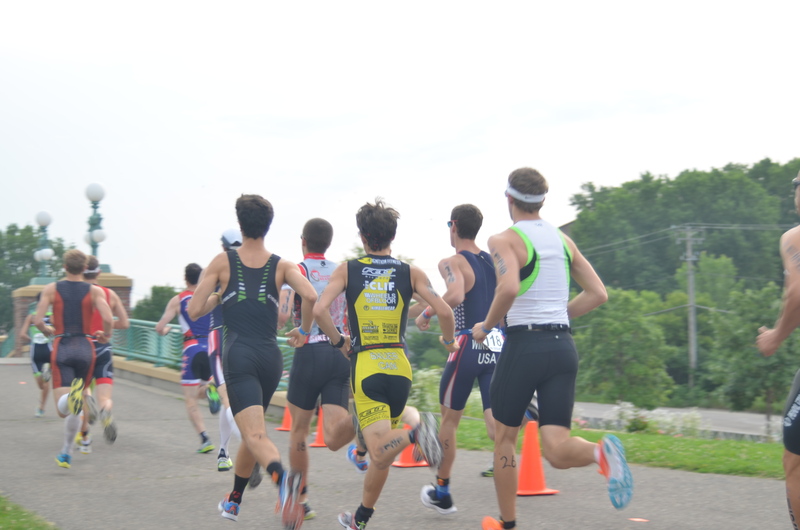 Needless to say, the race more than lived up to billing, and I was treated to a race against the most competitive field of athletes I have ever raced, and I think it brought out the best in me. 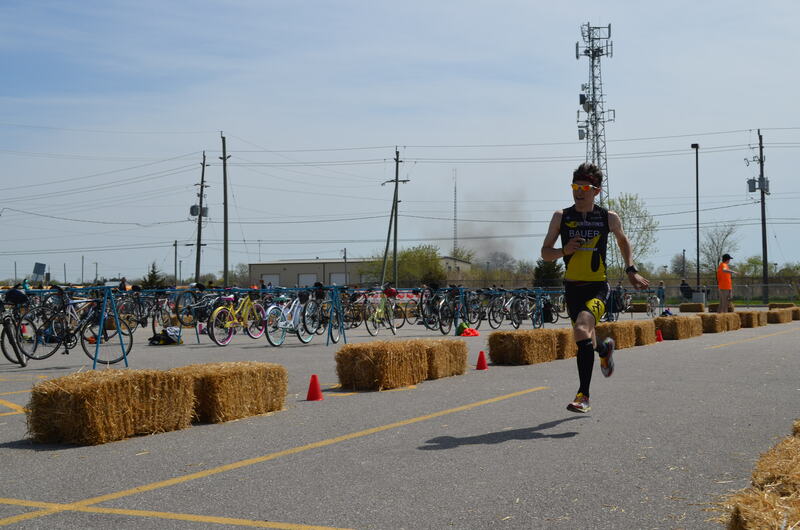 The lead up to the race wasn’t the best, as I dealt with some injury issues, an important bike part left in Hamilton, and some last hour mechanical issues, but I was still able to pull off a 7th place finish in one of the fastest Ontario duathlons in recent memory! Enjoy. The week going into the race was a bit of an adventure. I felt a twinge in my foot on my Saturday long run a week out that ended up being a bit of peroneal tendonitis and left me limping around the house for the rest of the weekend.A few days off it with some aggressive icing and stretching, and I was able to get through some runs later in the week without much pain. 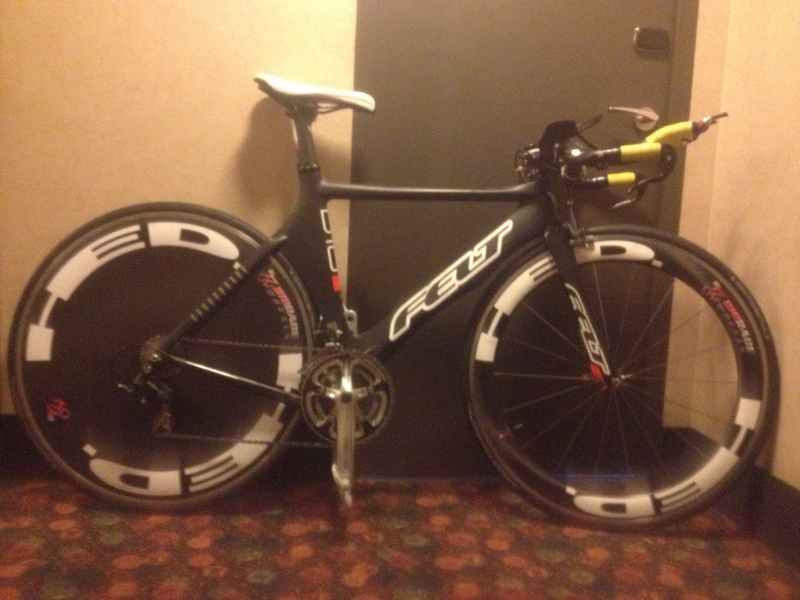 I declared myself ready to race. I drove down to the race Friday night with Emma and her parents, where we stayed at a friend’s place in Leamington. Upon arrival, I was putting my bike together and discovered that my rear skewer was…still on the sidewalk in Hamilton! D’oh…luckily fellow competitor Brad Reiter happened to live three blocks from where we were staying, and had an extra skewer. Thanks Brad! 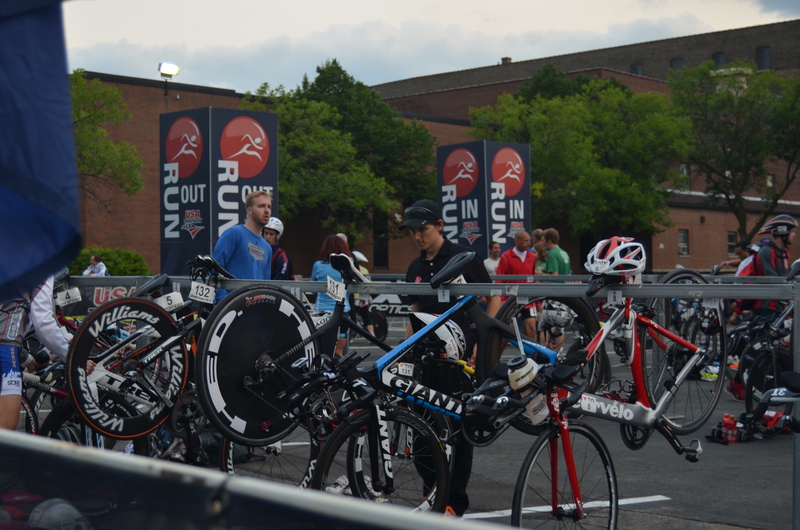 Surprise #2 came after I had set up transition on race morning. There’s a reason I always take my bike out after setting up to make sure everything is okay mechanically. 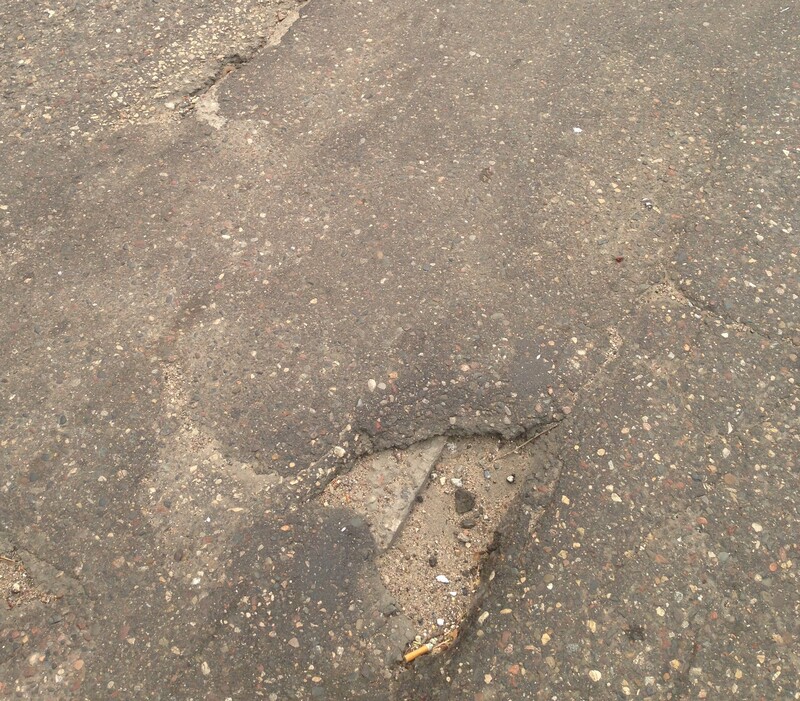 Turns out I had so little clearance between my rear wheel and the frame that as soon as my tire picked up some dirty, it started to rub on the inside of the frame! 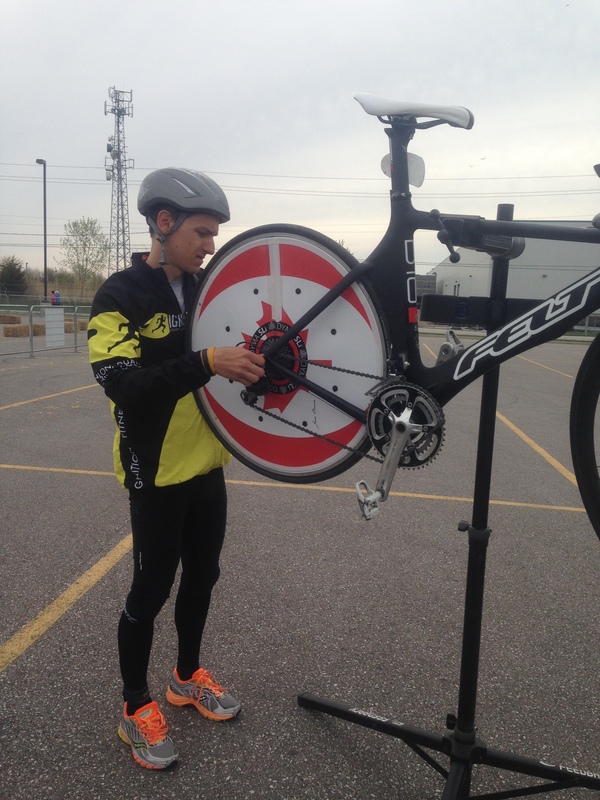 So 45 minutes before racetime, there I was with my bike up on the mechanic’s stand, adjusting my wheel to sit a bit further back to solve the rub! I got it sorted out in good time and was able to get a good warmup in. 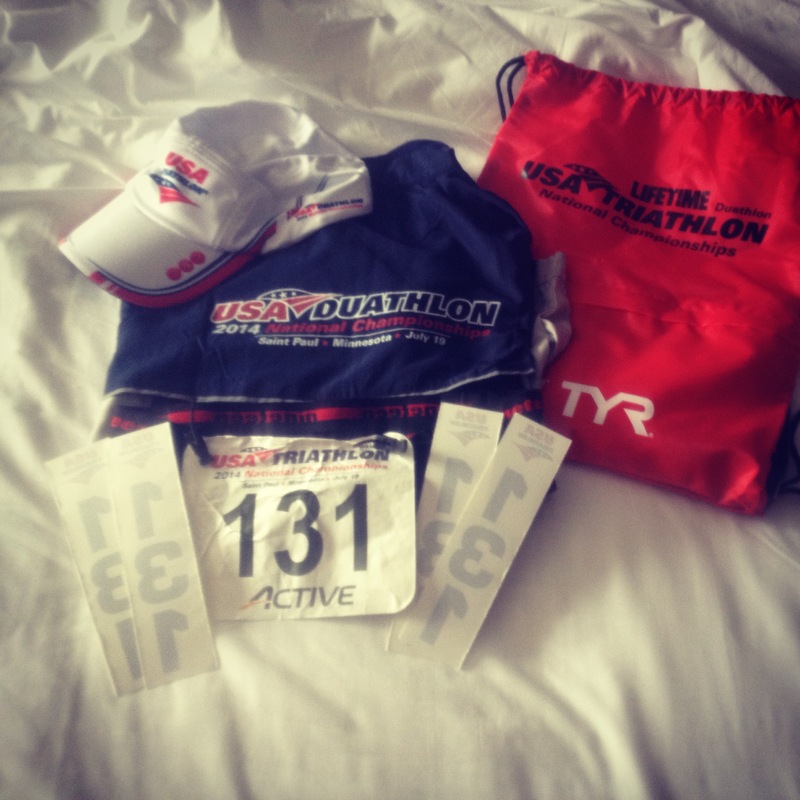 Ready for the race of my life. Everything was right in the world when the gun went off. This was excellent. I started in about the third row because everyone in front of me was just so fast! 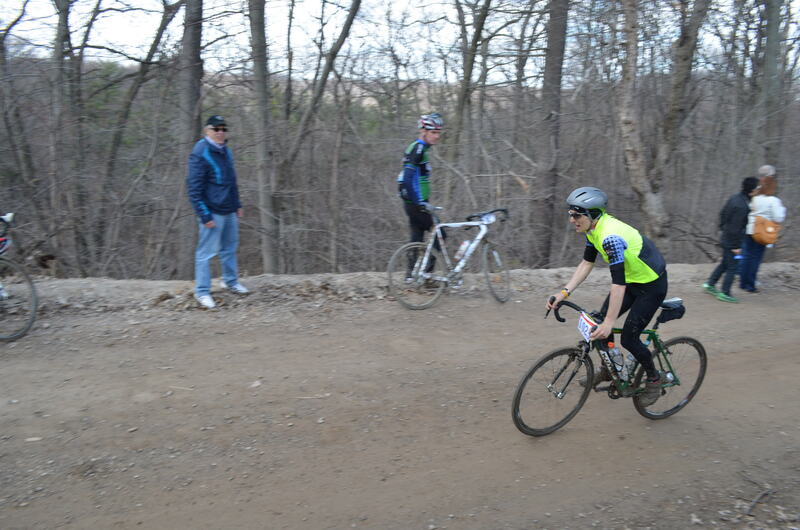 I had a plan to let the guys take off and just hook up to Rui Xu, who I know is around my level, for the first lap, and then see what happened. 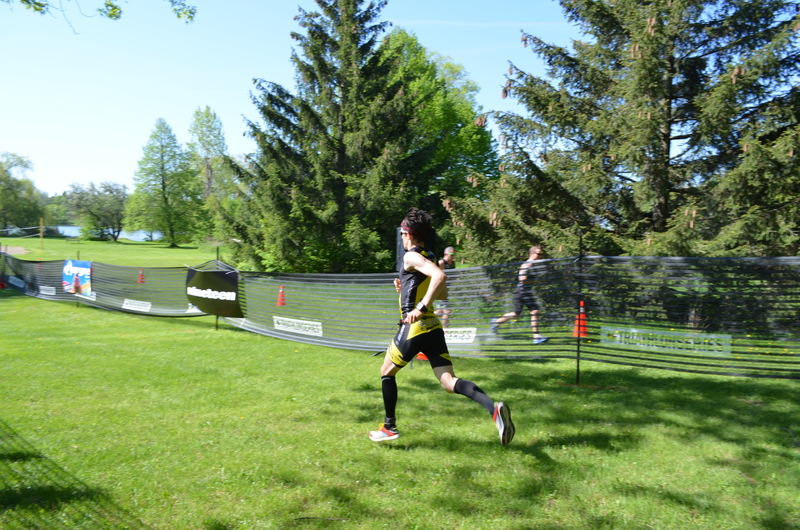 I was able to do exactly that, ran a very strong first lap, then I found that I had the legs on the second lap to gap him and chase a couple people down. 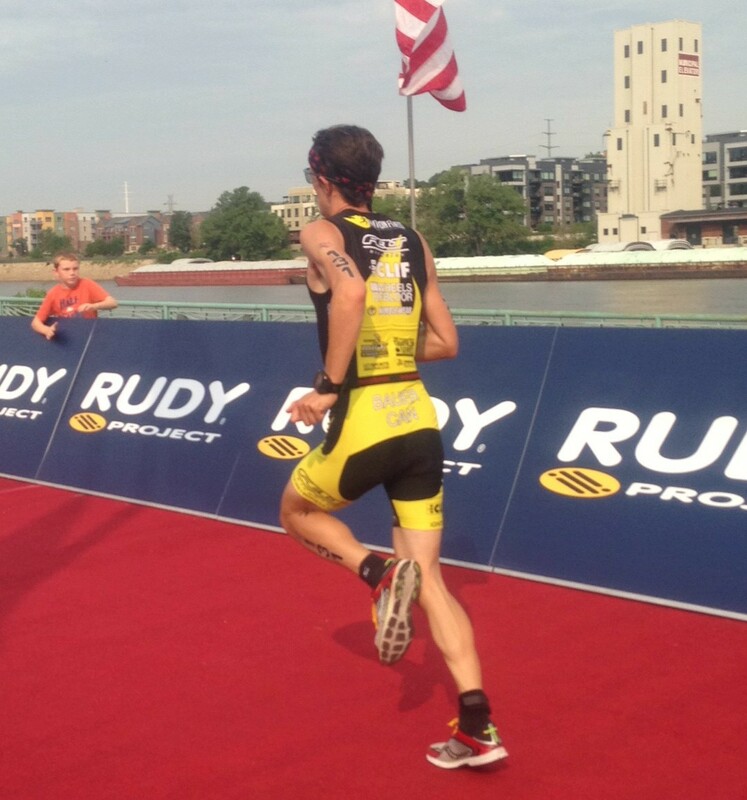 Through that second lap, I moved from 11th to 7th heading into T1 with a 17:10 split. 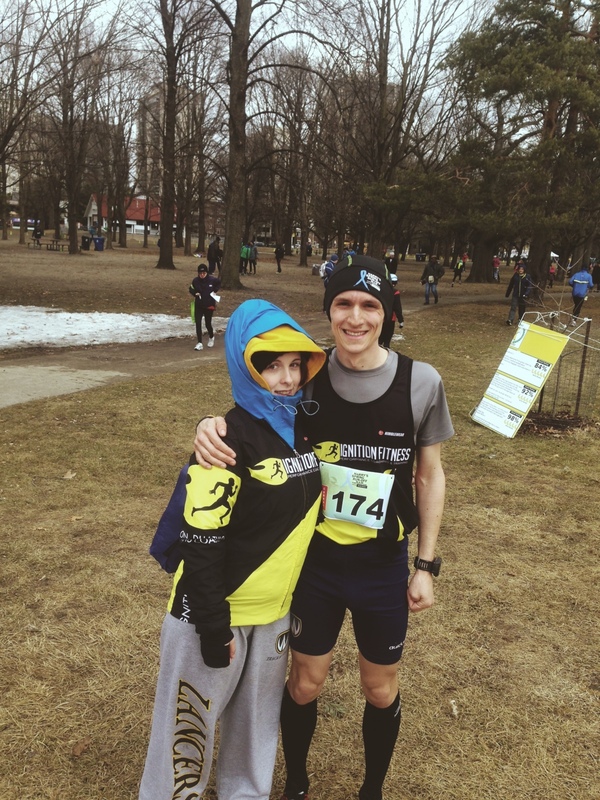 The first run was about 250m long, and my 5k split was somewhere between 16:25 and 16:30. 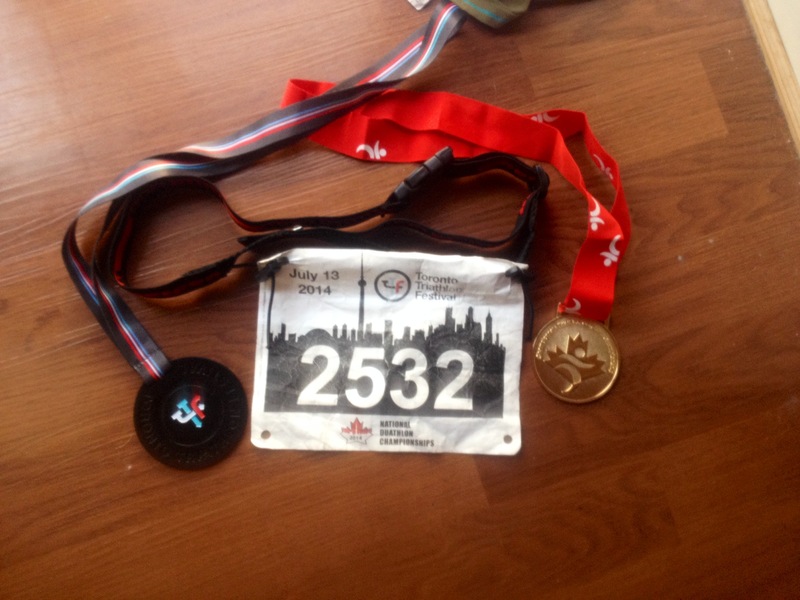 An awesome first split, a duathlon run PB, and feeling great to boot. 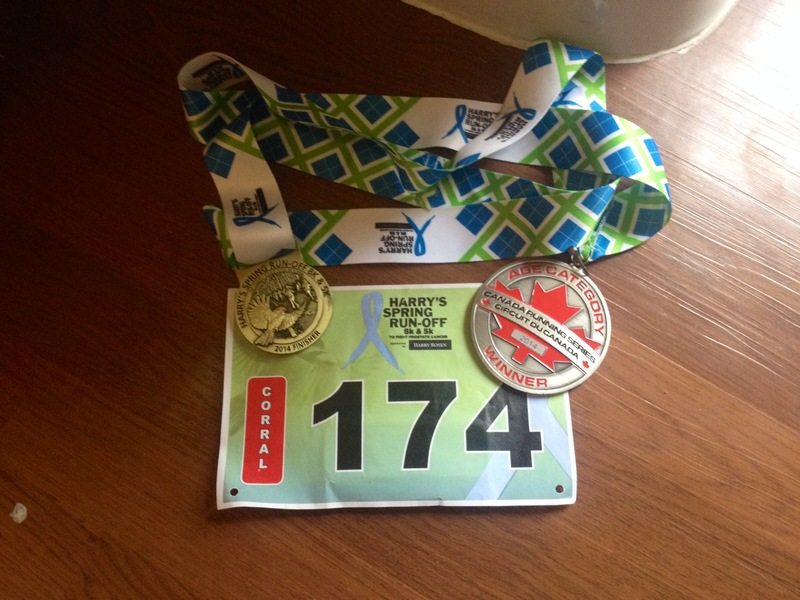 My foot wasn’t even yipping at me like I expected it would, and actually allowed me to focus on the race instead of the pain. Great start! The bike has always been my weak point. After a sloppy transition where I had trouble with my watch and my new helmet. I was out on the bike with a fire in my eyes. 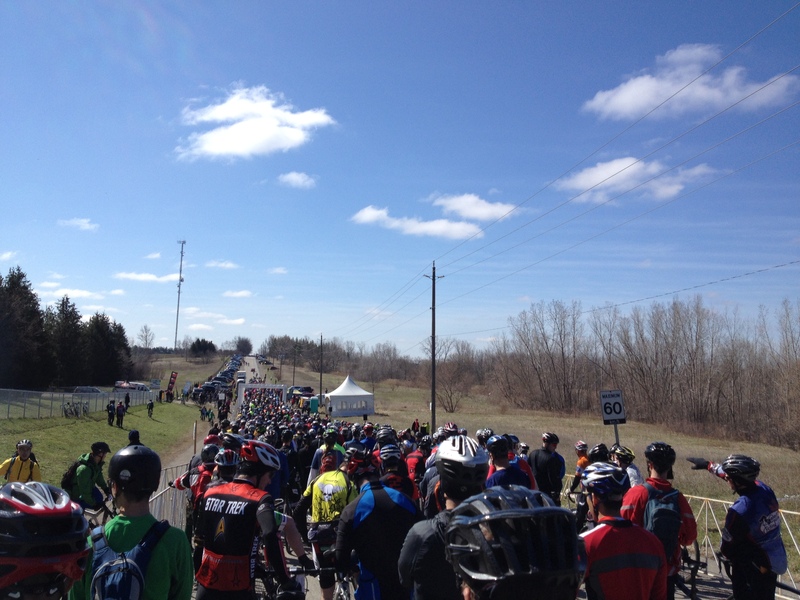 The course was entirely flat, but the wind more than made up for the lack of elevation change! 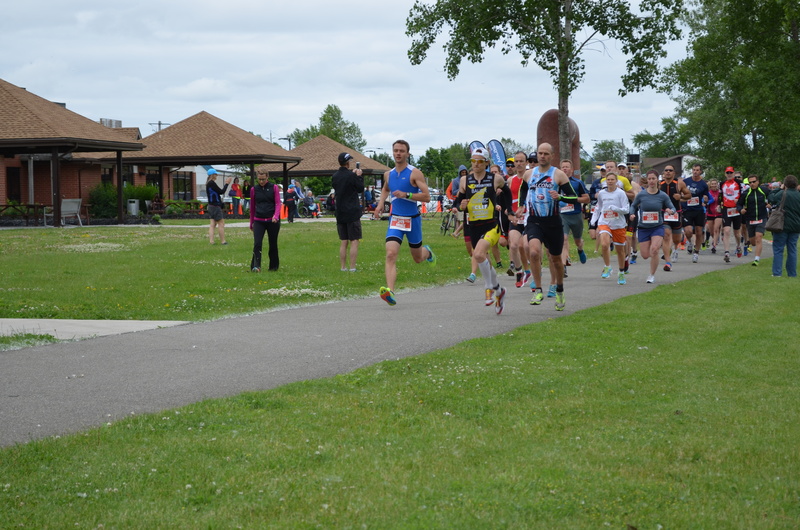 Every lap of the two lap course had a headwind section, a crosswind section and a tailwind section before a 180 degree turn. My lack of outdoor riding really showed here, as I was constantly having to slow down to navigate the many turns on each lap. Racing guys on road bikes has its perks, as I was able to make up most of the ground I lost on the turns during the headwind sections. 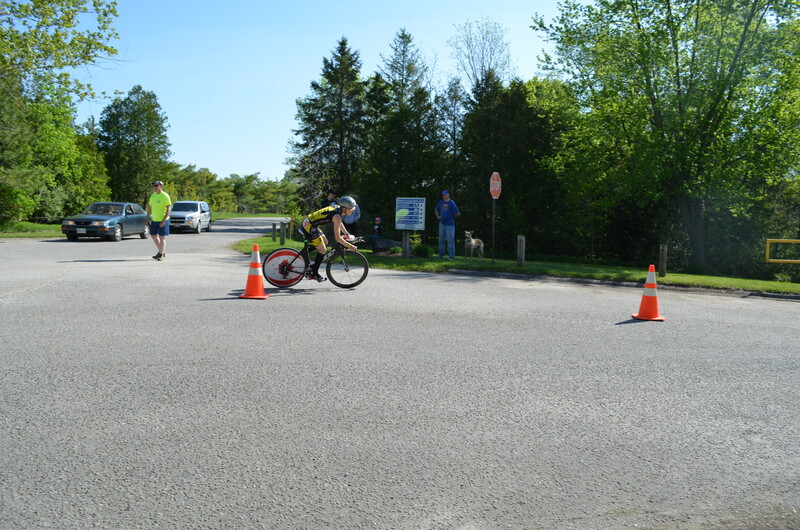 I spent the bike going back and forth with Colin Lavigne and Paul Kolb, and flipped into race mode on the second lap as I tried to stick with them. 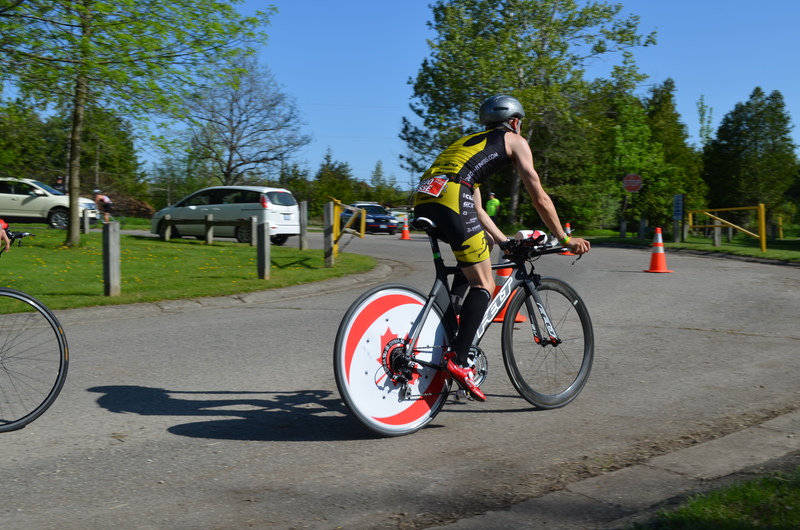 The time was a 2 minute 20k duathlon bike PB, but still some work to do here. 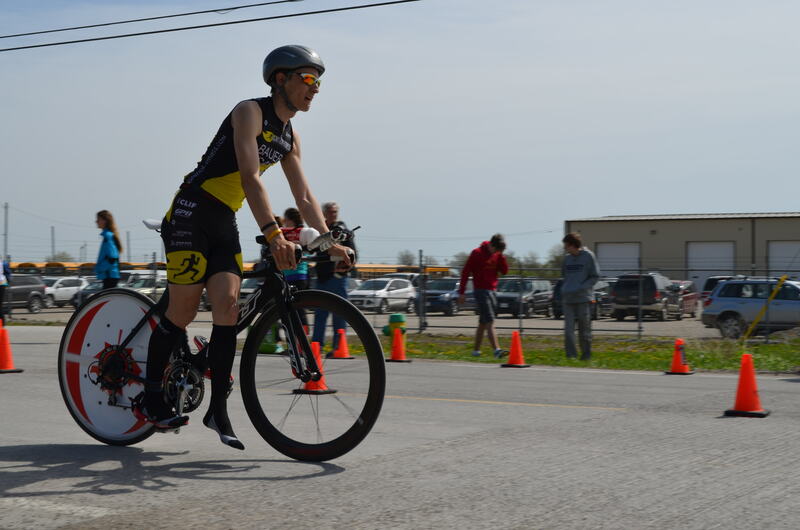 Shout out to Lionel Sanders, Austen and Taylor Forbes, Sean Bechtel, Garrick Loewen and new du-er on the scene Sjaan Gerth for the great races! Y’all are fast! 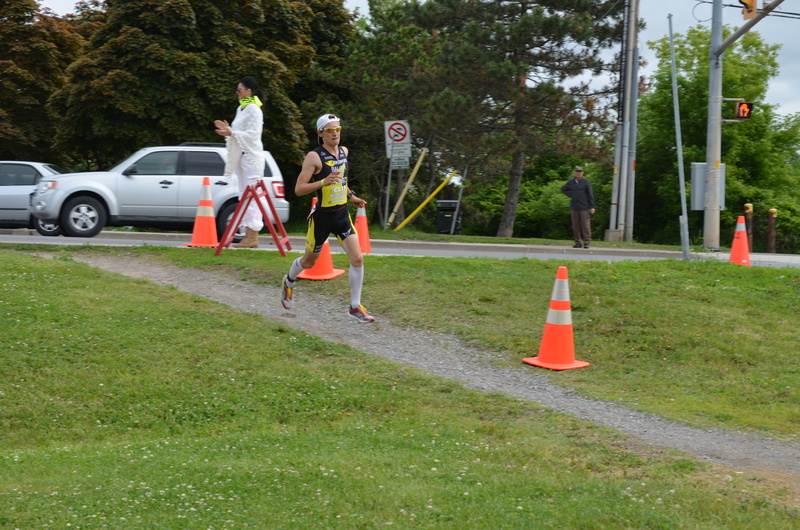 Next up for me is a pair of MultiSport Canada races, in Woodstock and Welland. 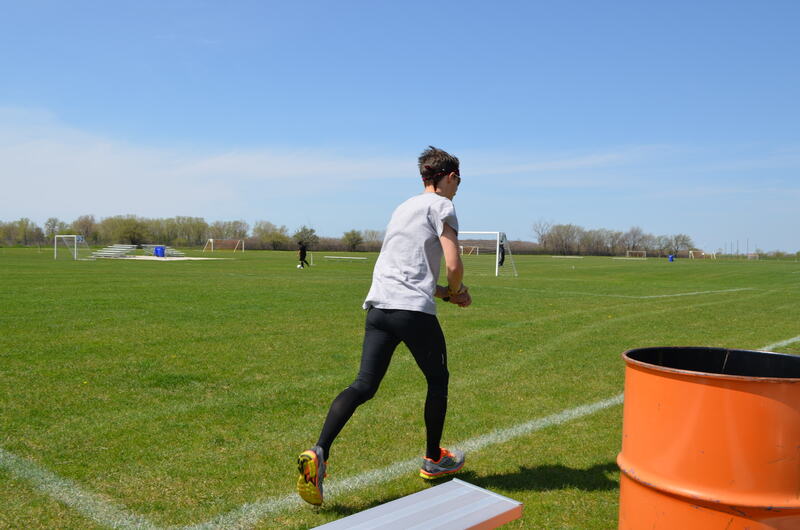 Then it’s off to Toronto for Nationals and St. Paul for US Nationals (with maybe a 5k track race thrown in). 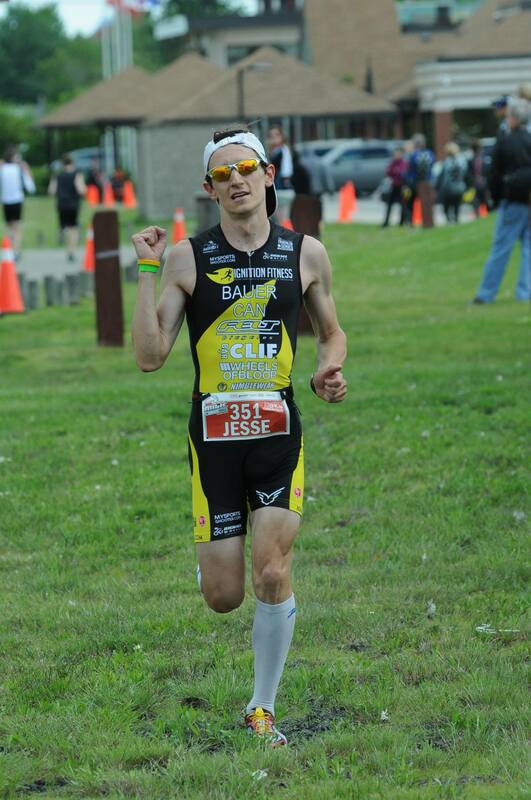 Thanks go out to my coach Tommy Ferris with Ignition Fitness for getting me in the shape to drop such a great result, and to Felt Bicycles for my fantastic new race bike and Clif Bar Canada for fueling me. 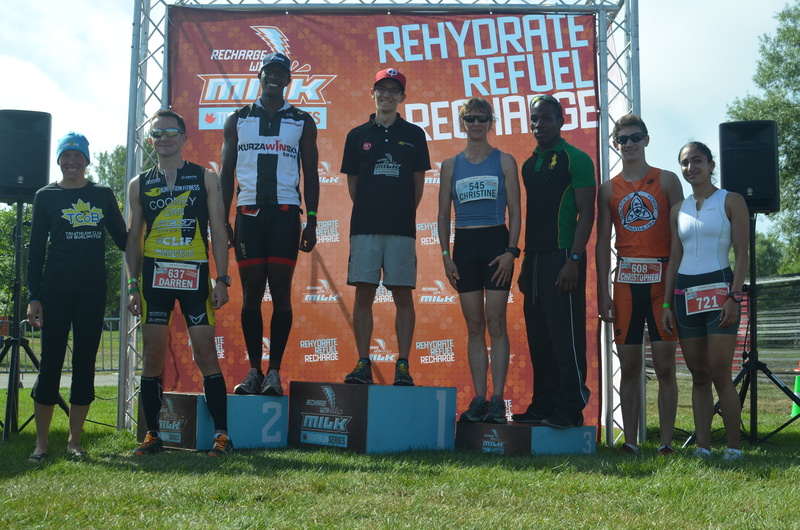 I also want to thank John and Roger at MultiSport Canada for setting me up at the bulk of my races for the 2014 season. 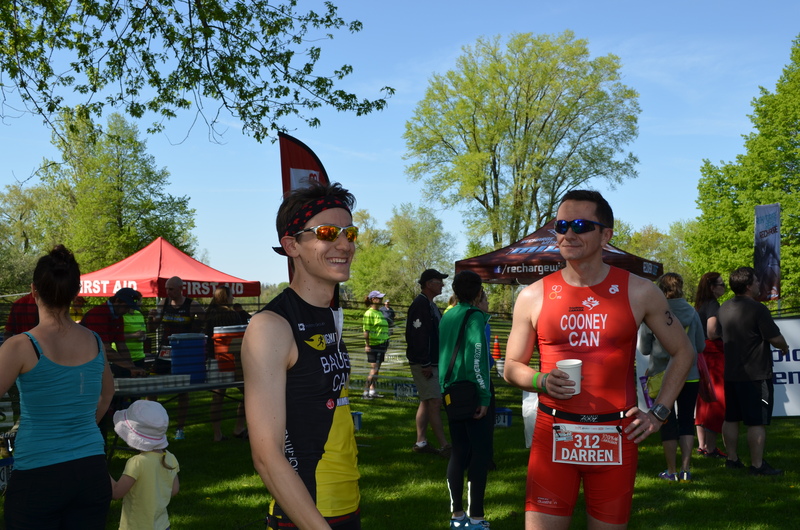 With the uncertainty in the Canadian duathlon calendar as a whole, it is awesome to know that I will be taken care of at my races. But of course, the biggest thanks goes out to my girlfriend, cheering section, and race photographer Emma, and her family for giving up their weekends to get me to my competitions. I cannot express my gratitude enough! You can find the results of the race here. 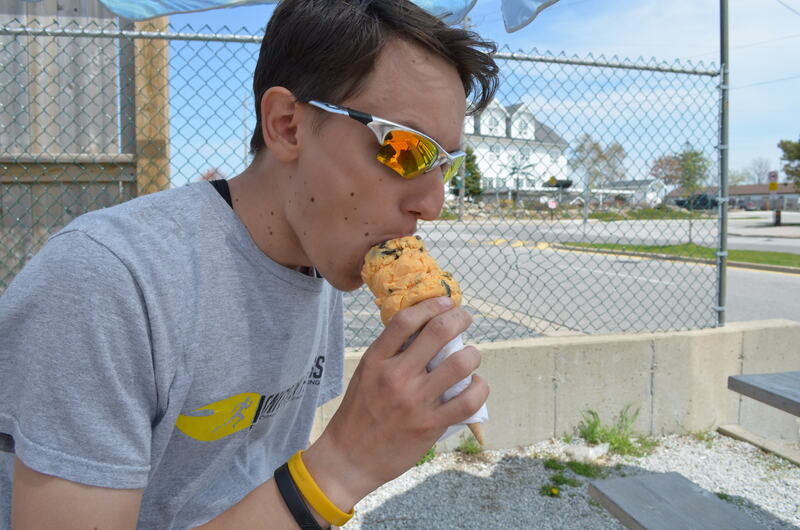 Until next time, enjoy a few more photos…and keep Du’ing it!